The lighting here is not my friend today, it's overcast and I doubt the sun is going to come out properly so this will just have to do. 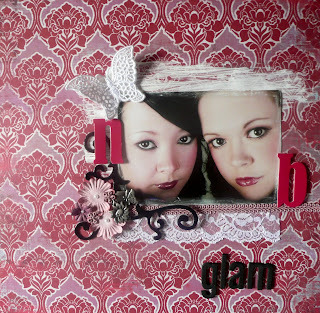 My best friend (Natalie) and I had glamour shots taken as a kind of 21st birthday present to ourselves a few years ago. We had some photos taken individually and then asked them to take some of the two of us and this is one of my favourites!